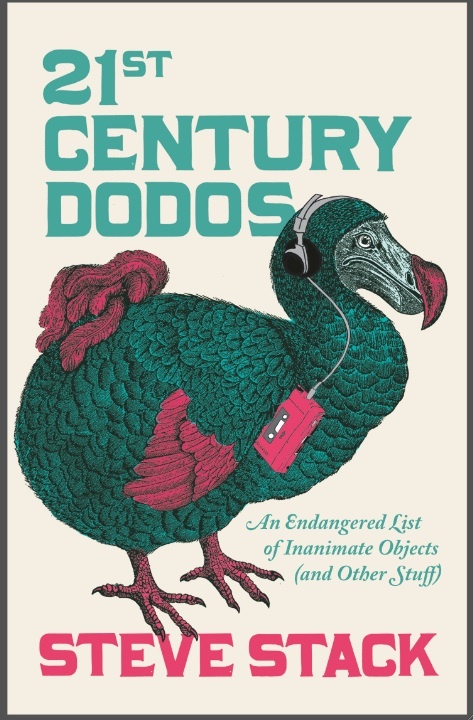 I was delighted to be asked by Alex to appear on this most aesthetically pleasing of blogs as part of the tour to promote my new book, 21st Century Dodos (and as an ebook). 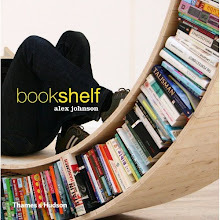 The only problem is, he wants me to write about bookshelves whereas I just want to persuade you to buy my book. Oh well, he’s the boss. If he wants bookshelves, bookshelves he will get. I won’t be so crass as to try to foist 21st Century Dodos upon you. This is not the place for such things and I am too classy for that. I happen to know that Alex is a bit of a fan of the staircase we have at our house. We live in a Victorian terrace and these stairs lead down to our basement kitchen. They were designed by my wife and she included a neat trick, as you can see. …or wonderful books about the demise of inanimate objects of yesteryear, to offer a random example. They really have come in handy over the years, hiding a multitude of sins. They also seem to be very popular with visiting tradesmen (that sounds very Downton Abbey, doesn’t it? ), with many plumbers, gas men, electricians and jolly delivery folk commenting on them as they make their way back up in hobnail boots. I also had a crack at ‘designing’ some bookshelves. I needed something specific for the alcoves in our living room (or is it lounge?) and came up with these. Quite thick and fat, aren’t they? Here’s why. You see, my wife didn’t want my CDs to be out on display, she thinks they are ugly, but I needed them close at hand so that I could pop on a bit of Dinosaur Jr at short notice. This seemed like the perfect compromise: space for compact discs, hidden away from public view, which can double up as a shelf for copies of this year’s ideal Christmas gift. Marital harmony ensues. Until we come to discuss the toilet library, but that’s another story entirely. Thanks so much for having me and my shelves on as guests!